Happy Saturday! 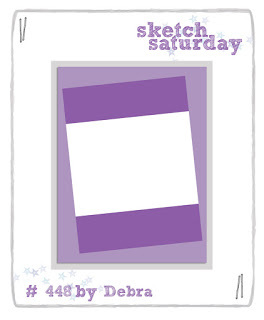 It's time for another sketch over at Sketch Saturday and it's also my final challenge as January guest DT. I'd like to thank the Sketch Saturday team for having me, I had a lot of fun! This sketch has so many possibilities, I really love it! I decided to use this sweet digital stamp from LMMS called Val's Butterfly. This little elephant just makes me smile every time I look at her. 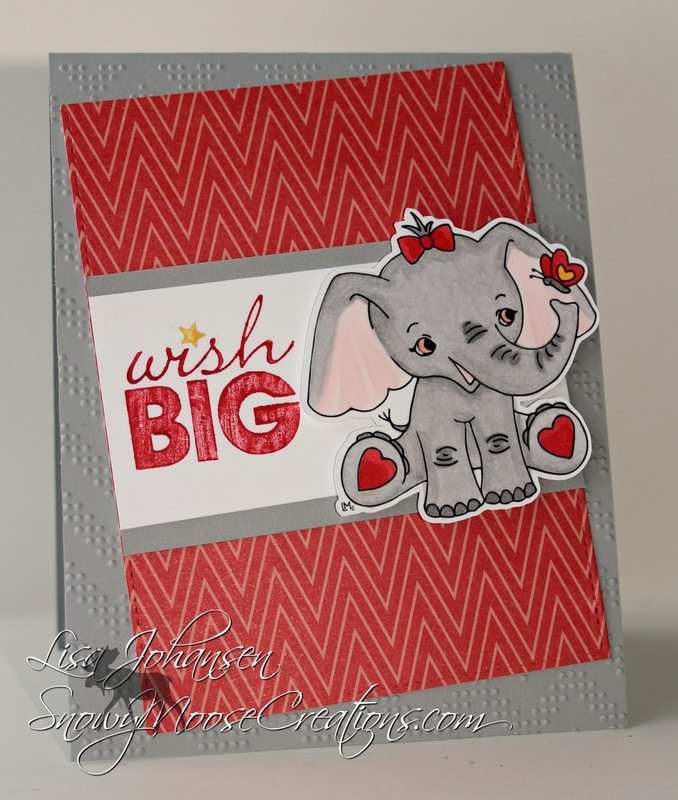 I started with a gray card base that I embossed with a CB folder and then I die cut my patterned paper to fit the front. The sentiment is from a retired SU set and was colored with markers and then stamped on white. I backed the white strip with the gray cardstock. Val was colored with copics and then popped up with dimensionals. Make sure you head on over to the Sketch Saturday blog to see what the rest of the DT created and then play along with us! The challenge this week is sponsored by A Day For Daisies, and you have a chance to win a $12.00 GC to their shop!